If you drive into a DUI checkpoint, you have to stop. If you try to flee, you’ll be arrested, and if you’re intoxicated, you’ll face two criminal charges – at least – instead of just one. If you drive into a DWI checkpoint, stop and be cooperative. 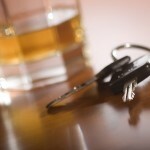 If you are arrested for DUI, take your case immediately to an experienced Orange County DWI defense lawyer. The last thing you want is what recently happened to one man in Desert Hot Springs. Anthony Gerald Jenkins, 51, pleaded not guilty in September to DWI , evading police, resisting arrest, and driving on a suspended license. Evading police and resisting arrest are felony charges. The charges stem from July 26, when Desert Hot Springs police conducted a DUI and drivers’ license checkpoint. About 12:30 a.m., Jenkins was driving a 2012 Volkswagen Jetta and allegedly failed to stop, according to police. Jenkins allegedly crashed into a concrete median and then wrestled with officers as they tried to arrest him. No officers were injured. If you are thinking ahead, you can avoid DWI checkpoints. They must be publicized ahead of time, and a number of newspapers and websites carry information regarding upcoming checkpoint operations. Law enforcement agencies also must post signs so that approaching drivers are aware they are nearing a checkpoint. That provides you with a chance to turn around legally and avoid the police. If you are stopped at a checkpoint, be polite and cooperative, but insist on your right to remain silent and your right to have an attorney present during questioning. 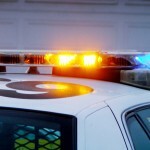 After any arrest for DUI in southern California, call an experienced Orange County DWI defense lawyer at once. It’s a much wiser choice than trying to run from the long arm of the law. If you run, you’ll be caught and face a felony charge. If you cooperate, your attorney will be able to help. If you are charged with driving under the influence in Orange County – now or in the future – make the call immediately.